Caught in the middle — and asked to testify — are two former employees of [Beauprez’s] nonprofit: Dede Laugesen, the wife of Colorado Springs Gazette editorial page editor Wayne Laugesen, and newly hired Gazette political blogger Dan Njegomir. We wrote last summer about an unusual red-on-red fight pitting Colorado Republican kingpin Bob Beauprez against a slate of Republican candidates and incumbent lawmakers. The intent appears to have been to “purge” the Colorado General Assembly of Republicans Beauprez considered too off message, and was partially successful–the group spent against losing Republican incumbents like Janak Joshi and Gordon “Dr. Chaps” Klingenschmitt, but was less successful against other incumbents like Rep. Lori Saine. One thing Beauprez’s Pioneer Action campaign against fellow Republicans did do smashingly well was infuriate allies of the Republicans targeted. 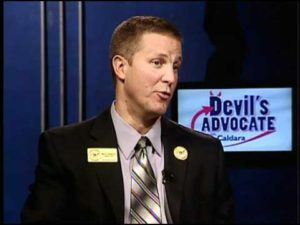 In due course, longtime Republican gadfly Matt Arnold filed suit against Pioneer Action alleging that its activities were incompatible with the organization’s tax status. Dan Njegomir has earned his bread and butter via his political firm, NewsSpeak Media LLC. So we’re clear, folks, the odds that Dan Njegomir was not aware that Janak Joshi and Gordon Klingenschmitt were candidates at the time they were targeted by Pioneer Action are somewhere in the neighborhood of 0%. In fact, it’s patently ridiculous. If Njegomir, a longtime Colorado Republican political operative, really did not know that Joshi and Klingenschmitt were running again, he should never work in Colorado politics again–let alone write for a major newspaper’s political blog. 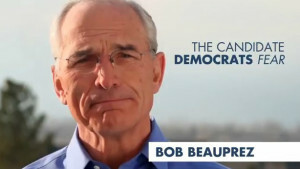 Putting an exclamation point on months of pre-trial proceedings and days of hearing evidence and witness testimony, the case against “Both-Ways Bob” Beauprez’ political action committee (by another name) ‘Colorado Pioneer Action’ (CPA) resulted in a Final Agency Decision (FAD) released today finding the organization guilty of multiple violations of state law. CIW’s Complaint alleging Colorado Pioneer Action’s failure to register with the Secretary of State as a “political committee” violates state law requiring federal entities (CPA is registered as a 501c4 “social welfare organization” enjoying tax-exempt status) acting to “support or oppose” candidates for elective office to register and disclose campaign activity in Colorado was found to be meritorious, and the group has been ordered to register as a “political committee”, file reports disclosing the organization’s finances (including the identity of CPA contributors) and pay penalties in the amount of $17,735 (a 90% reduction from the amount allowed by statute, which would have totaled $177,350). In other words, Pioneer Action was found guilty of exactly what Arnold accused them of, and exactly what Njegomir denied on the witness stand. It’s an enormous credibility hit to Dan Njegomir and Bob Beauprez, and a major vindication for Colorado’s premiere political gadfly. And this ruling might not be the end of the story. An ugly ulterior motivate for Njegomir’s columns attacking Arnold has been exposed here. That Njegomir was paid $20,000 by Beauprez’s group should have prompted Njegomir to hand off “coverage” of the Arnold case to somebody else. The eye-popping conflict of interest in Njegomir being paid by Pioneer Action, followed by relentless attacks on Arnold in Njegomir’s official capacity at the Gazette, raises fundamental questions about that paper’s journalistic ethics. Arnold got more than he bargained for when he turned over this particular rock. Stay tuned for more fallout. Let the record show that Matt Arnold is a board certified Dickhead and anyone fighting against him for any reason in any venue should be considered to be doing the Lord's work. LOCK EM UP! LOCK EM UP! Beauprez or Njegomir, couldn't have happened to a nicer guy. Also, the Gazette is a complete shitshow. Time for Anschutz to clean house. They are all fine fellows. Let's hope for a good clean fight from which no survivors emerge. I can just hear the conversation around the office: "No, no, no! It's not Newspeak. It's NewS-Speak! There's another "S" in there! Ssssss! Put down that Orwell book already!" So I'm not the only one whose ears snagged on that word. Of all places one would expect to hear it, anywhere in C. Springs would be the last. Yup, we don't need to worry about a unified Republican party in CO anytime soon…from Facebook. Colorado Springs Gazette Editor Wayne Laugesen accosts, physically threatens Campaign Integrity Watchdog Director Matt Arnold at Colorado Republican State Central Committee meeting. Literally on my way out the door, Wayne accosts me, gets in my face yelling, issues physical threats and tries to start a fight. Not backing down – but not taking the bait – from "tough-guy" Wayne as he yells that he'll "finish it" – pathetic. Pathetic that you are subsidizing this loser, Pols. Everyone knows Arnold is in this for himself. Live long enough and see everything. I'm with Moddy on this one.